Find affordable health insurance that matches what you’re looking for through Vista Health Solutions. We have an advanced quoting engine that will generate all the quotes available from top insurers like Health Net health insurance quotes. Vista Health Solutions is licensed to do business in every state and we have direct relationships with insurers. We offer health plans for individuals, families, self-employed and those with pre-existing conditions. Customer care is our specialty. We guide our customers throughout the application process and we answer all of your inquiries. And unlike other websites, Vista Health’s site guarantees the privacy of any information you share with us. Health Net is a managed care organization providing health benefits to more than 5.6 million people in 15 states through their subsidiaries. Health Net health insurance plans being offered include individual, group, Medicare Part D, Medicaid, U.S. Department of Defense, TRICARE, and Veterans Affairs programs. 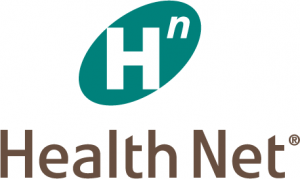 Health Net health insurance also offers behavioral health services through their subsidiary, Managed Health Network, Inc. Health Net’s mission is to help people be be healthy, secure and comfortable.